Many companies offer air conditioning services in Denville NJ and its environs in Morris County. The companies satisfy the increasing demand for hvac services throughout the summer, that calls for the need to be more careful when choosing an ac contractor that would offer quality services and at a reasonable cost. At All Week we’re is among the leading AC contracting companies that offer superior quality services at very competitive rates for both commercial and residential areas in North NJ. A lot of businesses have always relied on All Week Air for our high quality HVAC and expertise cooling services. We always strive to resolve their air conditioning problems and ensure their clients and employees have a comfortable climate to maintain their normal workflow efficiently. Our services range from installation, maintenance, and repair of their commercial central and AC systems. Whenever you have any sign of breakdown or malfunctioning of your air conditioner, then you should seek immediate repair services to avoid further complications. You should also avoid do it yourself troubleshooting and repairing of your air conditioner because it may cause further considerable damage. 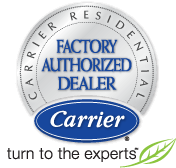 We have experienced and highly trained experts that will repair and maintain your air conditioner properly. Inquire today for a free estimate.